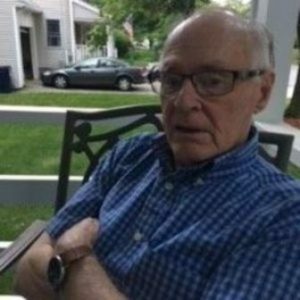 Marlborough – George Earl Whapham, 87, of Marlborough, passed away peacefully at home June 15, 2018, surrounded by his family. Born and raised in Danville, Pa. on Sept. 26, 1930, George was the son of Joseph and Irene (Miller) Whapham. He graduated from Danville High School in 1948 and entered the United States Navy. He was proud of the five years he spent in the U.S. Navy from July 15, 1948 to Feb. 13, 1953. He served on the USS John A. Bole during the Korean Conflict and on the USS Baltimore. He attained rank of Radioman Second Class and received the Good Conduct, United Nations, Navy Occupation China Service, Navy Occupation Korean Service with Stars, Navy Occupation Service Europe and Asia and National Defense Service medals. Following his discharge from the Navy in Boston, he worked in quality assurance at Raytheon Corporation in Waltham and at EG&G, Inc. in Salem and Boston. George attended Northeastern University where he earned the Associate in Engineering degree in 1959 and the Bachelor of Sciences degree in Engineering Management in 1961. George joined the Koehler Manufacturing Corporation in 1974 and moved to Aritech Corporation in 1980 as Quality Manager until 1984 when he joined Compugraphic Corporation as Global Quality Manager, Accessories & Supplies Division. He retired from AGFA Compugraphic in 1996. Active in the Marlborough community, he served as the Labor Day Parade Director for 30 years, stepping down in 2007. While director of the Labor Day Parade, George was also a member of the International Festivals and Events Association (IFEA). Whapham also served as a member of the Marlborough American Legion Akroyd-Houde Post 132 as Post Commander during the move to the Post’s current location. During the American Legion home move from the G.A.R., John A. Rawlins Post 43 building to the current location on Maple Street, a home for the John Brown Bell, which hung on the Rawlins Building, was required. He chaired the John Brown Bell Tower committee, completing the assignment under the direction of Mayor Fred Cole with the dedication of the Bell Tower in 1971. Whapham remained active with the American Legion Akroyd-Houde Post 132 for many years, serving as the Americanism Committee Chair which promoted the American Legion Oratorical program and the American Legion Boys State and American Legion Girls State programs. From 1965 to 1968 he served on the American Legion National Oratorical program committee. George was a long-time member of the American Legion Band Post 156, Waltham. He performed with the Waltham American Legion Band from 1961 until 2008 when he retired from his position in the baritone horn section. George became active with the Marlborough Band Parents in 1969 and remained active with the now Marlborough Public Schools Music Association (MPSMA) throughout his life. He was an avid musician and strong supporter of music in the elementary, middle and high schools, recognizing that music and music performance brings a sense of confidence, pride and self-esteem to the students. He served as co-chair of the Marlborough Public Schools Special Education Parents Advisory Council (SEPAC) from 1996 to 2007 and served as Community Liaison on the Marlborough High School Council and as the Marlborough Public Schools Liaison to the City of Marlborough Commission on Disabilities. He also served as member of the City of Marlborough Arts Council and the City of Marlborough Special Events Committee and he was a member and supporter of the Marlborough Eagles for their work with youth and adults with special needs. George received many community recognitions. He was honored to be recognized by the Marlborough Girl Scouts as “Volunteer of the Year” in 2000 and received the “Good Scout Award” from the Marlborough Boy Scouts in 2001. In 2002, George was honored with the Marlborough “Humanitarian of the Year” award. In 2008, he received the “Marlborough Heritage Hero” award and in 2012 he was recognized for his long-time service with the Waltham American Legion Band, receiving “Band Member of the Year” award. In 2013, he received the “Marlborough Veteran of the Year” award and in 2015 the “Marlborough Senior of the Year” award. George is survived by his wife of 33 years, Melanie (Loss). He is survived by his children, Suzanne Marie Perdue, Judith Ann Hogan and her husband Preston of Marlborough, Linda Eileen Kenney and her husband Joseph of Hopkinton, Julie Anne (Hanson) Whapham of Marlborough, Donna Jeanne Boxell and her husband Glenn of Marlborough, Elizabeth Rose Greer and her husband Harold of Hudson and David Loren Whapham and his fiancé Katherine Hirotsu of Cincinnati, Ohio. He is also survived by his 21 loving grandchildren, Brianne Caitlin Perdue, Corey Matthew Perdue, Kristin Marie Perdue, Lindsay Nicole Perdue, Christopher Paul Radivonyk, Melissa Ann Schnepp, Allison Brooke Hogan, Michael Christopher Hogan, Stephen Michael Kenney, Michelle Kristen Michienzi, Laura Nicole Kenney, Sarah Linda Kenney, Shannon Taylor Bies, Alex Joseph Whapham, Jessica Anne Whapham, Kacey Lynn Whapham, Emily Rose Whapham, Andrea Nicole Boxell, Jennifer Anne Boxell, Brian Daniel Boxell, David Mark Boxell, and nine great-grandchildren, Hannah Meeks, Madison, Christopher (CJ) and Alexander (AJ) Radivonyk, Jackson and Henry Schnepp, Emma, Nolan and Avery Kenney and Michael and Kaylee Bies He is also survived by many loving nieces and nephews and their families. He was predeceased by his former wife of 28 years, Helen Blanchard; his sons, George Lewis Whapham and Kenneth Edward Whapham; his daughter, Cynthia Lee Whapham; his sisters Nancy Grass and Wanda Larson; and his brothers, Joseph Whapham and Richard Whapham. Visitation will be held Saturday, June 23, from 2-5 p.m., at Slattery Funeral Home, 40 Pleasant St., Marlborough. Reverend Joseph Graumann will officiate the funeral service Sunday, June 24, at 2 p.m., at Trinity Lutheran Church, 73 Lancaster St., Worcester. Interment will be private at Bourne National Cemetery.